The beer must be green. The river must be green. 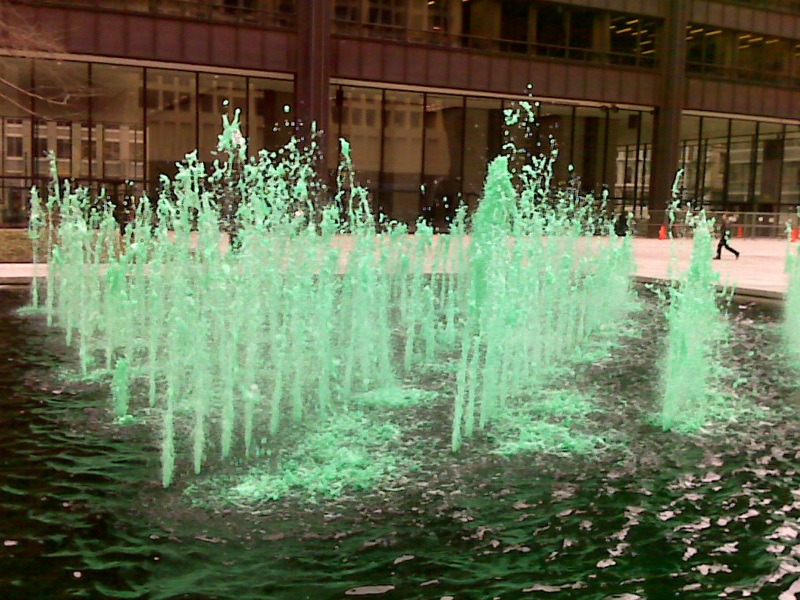 What you’re wearing must be green, for today, everyone in Chicago is Irish! It’s a tradition – just like having two St. Patrick’s day parades: one for the Northside Irish and one for the Southside Irish. Here in Chicago, what part of town you’re from matters. Here in Chicago, it’s very easy to be green. So sad they canceled the South Side parade. 🙁 Happy St. Paddy’s day! I didn’t hear about the cancellation! i really should pay more attention to local news. Happy St. Pat’s to you, Karen! Now I just need to find something green to wear.